Before Chris returned after the cycling we three went along to a weekly Marche de Producteur in Segur le Chateau on the Monday night. 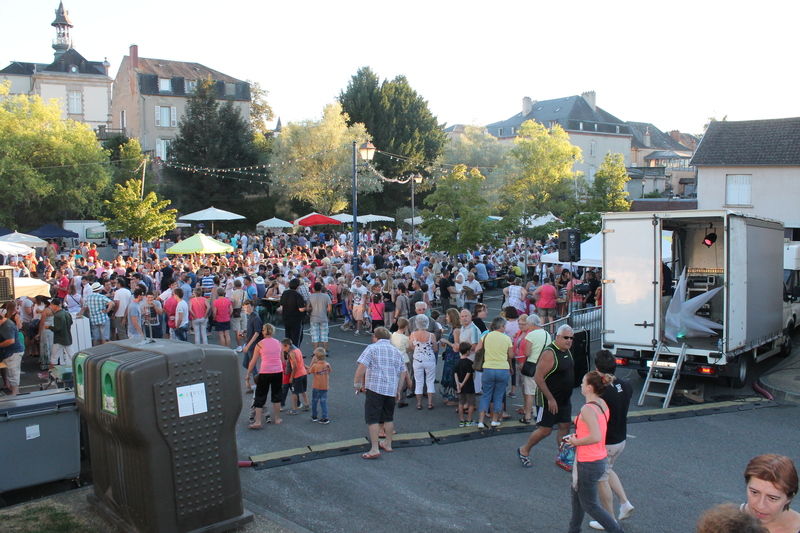 It’s a Plus Beau Village and was absolutely mobbed – both Chris and S got veggie food – while I had to make do with half a duck breast… There were stalls around the large area of tables and bench seating as several hundred people ate, drank and listened to live music. There was a great relaxed atmosphere and really enjoyable tho Chris may have preferred a different play list music wise. We sat on the deck that night watching the sun go down gently and blethered the prefect end to a great evening. There had been a few stunning sun sets. However I’m sure Chris enjoyed that more than the Vide Grenier on the Saturday at SYlP FC which we went to after I’d shown him the town – it was a medium sized market/car boot sale which was made all the better by some Three Musketeer type guys and gals who had a few sword fights and such. I was able to have a wee chat with a few of the fitba regulars who were there – which was good. We paused in Limoges so Chris could have a wee look at the place before he jetted off. After Chris went S and I had a few days of pottering about – we went to the SYlP’s Marche de Producteur on a Thursday night. During July and August you could go to four or five a week, villages do a night each, which would be great but not good for your wasteline. 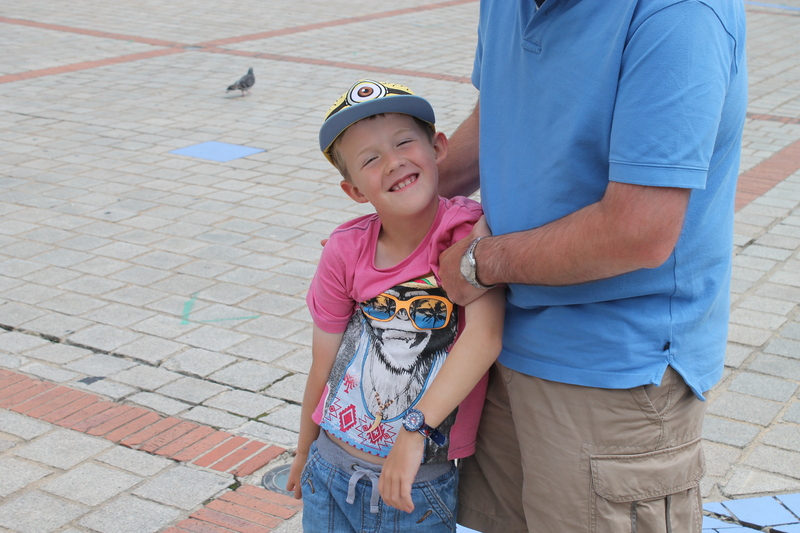 The friendly chap who we’d spoken too at the Bastille Day event wandered over to say hello. Having ducked the time before I had several sausages and took advantage of the fact the guys from the football were running the bar… Result! That made it easier to get served… I also discovered that SYlP FC had got a difficult draw in the first round of the Coupe de France facing a team from 4 divisions higher. The goalie was concerned, the player coach also not hopeful and my efforts to gee them up fell on deaf ears with Philippe. We had a few wee local trips and another splendid lunch in the Vice Versa in SYlP. I had a wee time out of things – the details of which don’t need broadcast on here – but thanks to Susan, family and friends who provided support. You know who you are! Having had a range of experiences with the NHS the French system is rather better and its employees have a very different attitude which took some getting used to. Anyhoo we gently got going again all having been well. She was out one night during heavy rain so after lots of attempts to find/entice her for an hour she was shut out. Next morning a damp cat entered the barely open door at about 67 miles an hour. There are a couple of goats along the road which shout a welcome to any passing pedestrians – raising a smile every time. 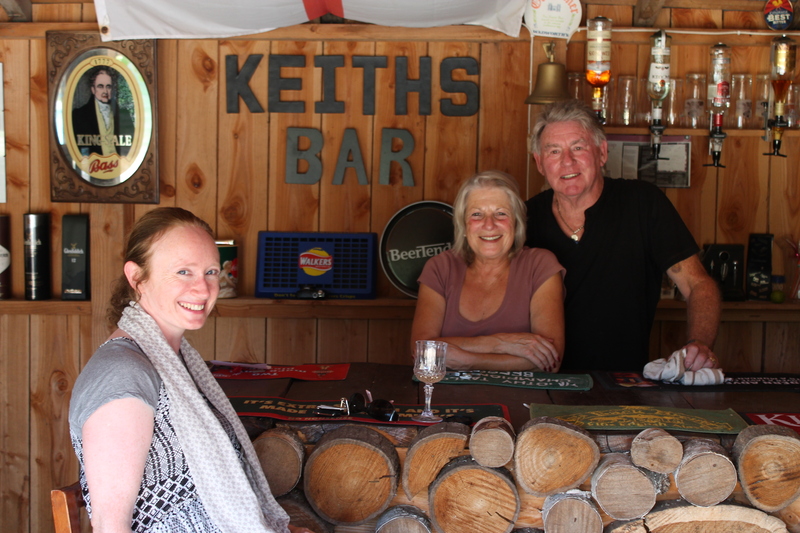 Visiting SYlP we tried out a new restaurant (pork & mushroom dish with rice) and had a wander about then went to see Jan and Keith (our first hosts) and had a good catch up with them in the sunshine at Keith’s Pool Bar. It was great fun catching up as their latest punters sat around the pool. We delayed the cats dinner which they made obvious but after tending to their demands the blethering continued. We went to the Truffles museum in Sorges which was interesting and could be a lucrative money making scheme… They have Perigord ones hereabouts (black ones with white veins). We fear however that Mitzy may sniff out more mice than exotic funghi no matter how much we tried to train her… She’s no team spirit that one! 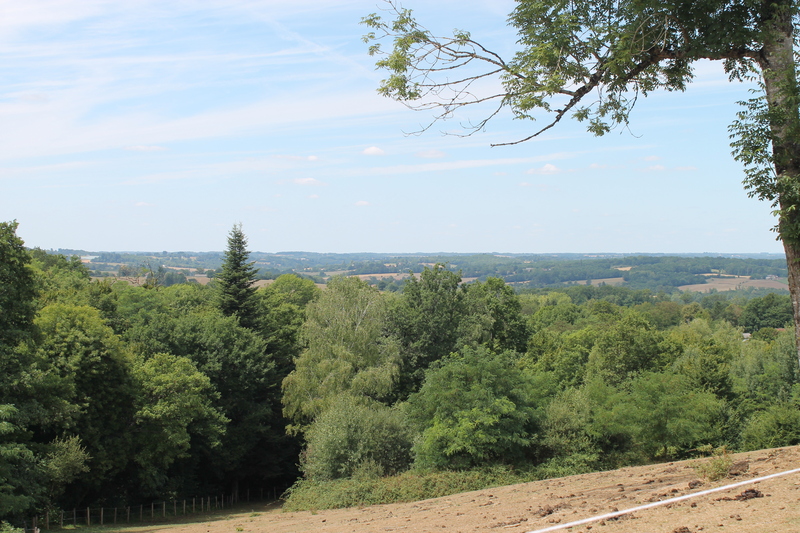 We’d paused for a light lunch – duck free – in Excedieul and were asked directions by a French couple in a camper van. No doubt horrified to discover they asked other tourists they seemed pleased I knew the way to where they were going (Hautfort) and after I managed to provide pretty good directions they said “Thank you!” as they drove off. It was a holiday so many places were closed for Assumption Day, but we got a light lunch in SYlP – croque monsieuring and a veggie one for S.
A pal from Uni (in Dundee) had been in touch and they arranged to pause for a night in Limoges. We joined Aiden and Shauna (with Martin & Finlay) on the Sunday as they returned towards Belgium from a holiday further south. We had lunch in the Place de la Republic. Young Finlay is an expert on the latest Minions film and endeavoured with very little encouragement to detail it’s twists and turns to me. 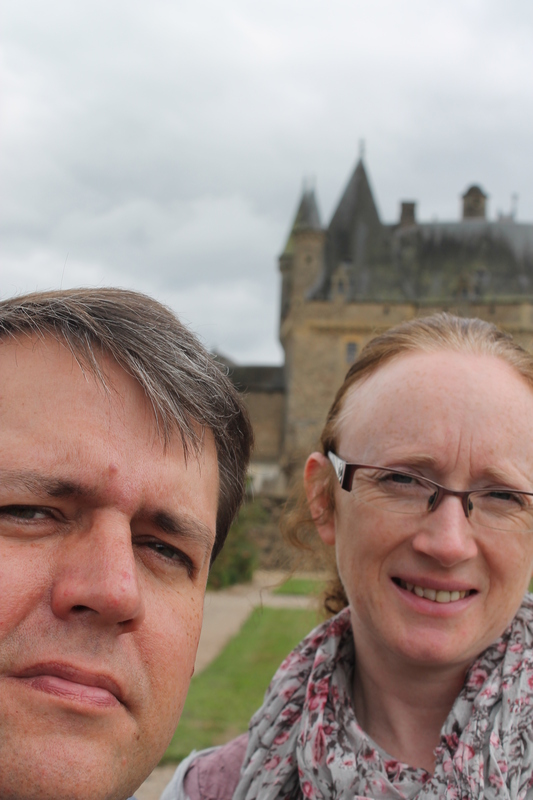 We at last visited Pompadour chateau which was narrower than I thought it would be. Not that it’s four foot wide or anything but it wasn’t as imposing inside as out. 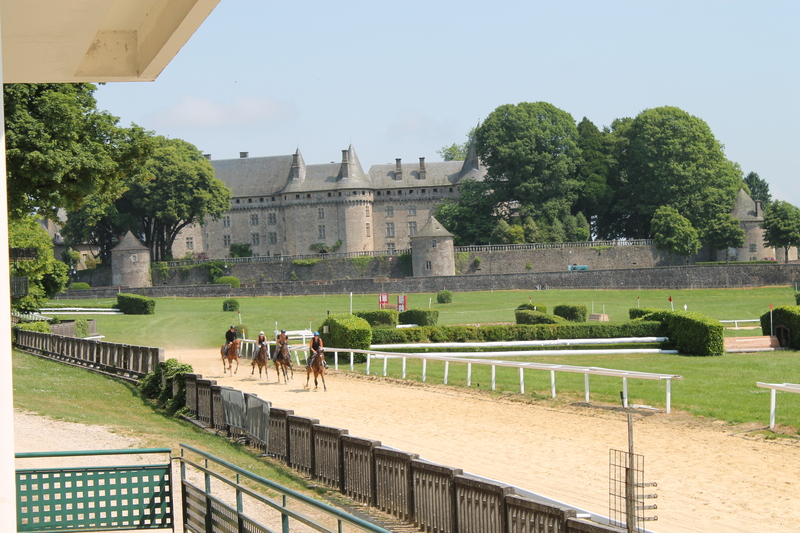 It is steeped in equine history and the stables provide horses to the President of France presumably for ceremonial duties. It’s the place you can buy for 1e but needs 4,000,000e of work doing. After we got to see a number of performing horses which was more entertaining than I thought it would be especially as they can be flighty beasts. The white Andalucían horse was pretty. 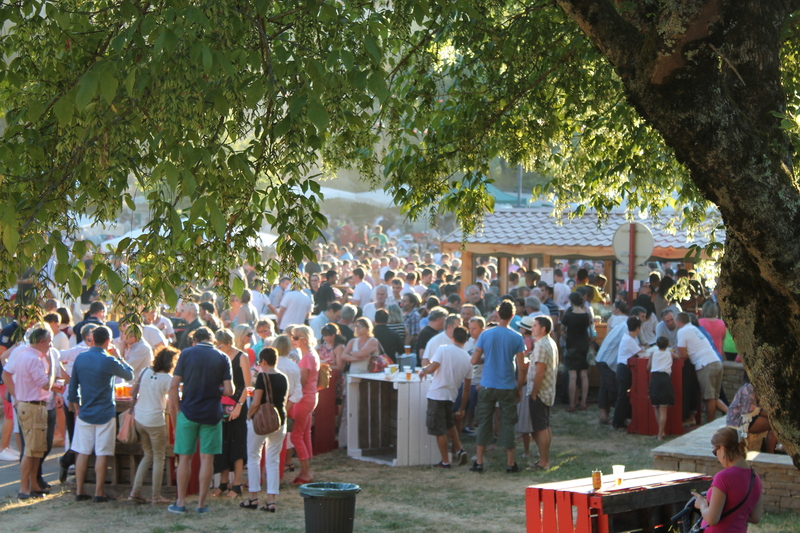 That night we headed to a do in Lubersac – Roy’s pal John was singing (he’s written a UK number 1 when that was difficult) and on arrival discovered that a bicycle race was going on. Interestingly the main road thru the village which heads for the motorway was closed as there was a funfair and the diversion took the traffic down the road to the finish of the race. 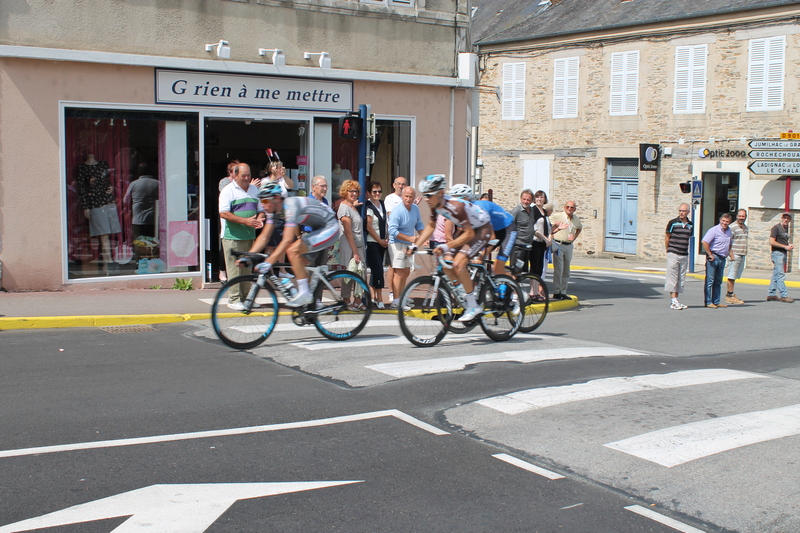 As there were a number of laps tabard wearing locals were carefully letting large lorries go between groups of riders! Cycling is seen as pretty important over here. After the race finished and the result clarified, there having been about half a wheel in it we wandered over to where John was waiting to do his first set as the locals gently appeared. 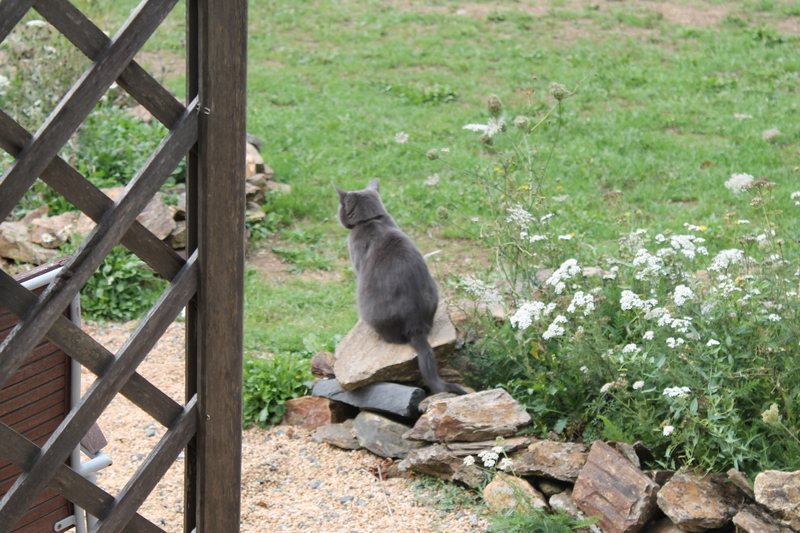 Having dined at his place months ago and him seen us at the gite we had a blether for a while as the locals laid out the food for the evening and sauntered in and heading for the bar. Sadly there was little in the way of food options for S but she had some chips then sort of bullied me into trying the stuff on offer – various starters of cold meat and cheese then freshly cooked meat and chips… The things I do to keep her happy! John was by now showing how talent was so much more linked to success in the old days before autotune and Popidol. We’d heard there would be fireworks but hadn’t expected much. However we noticed flashes from that direction so watched from upstairs as quite a display was set off that we could almost see but could hear perfectly. 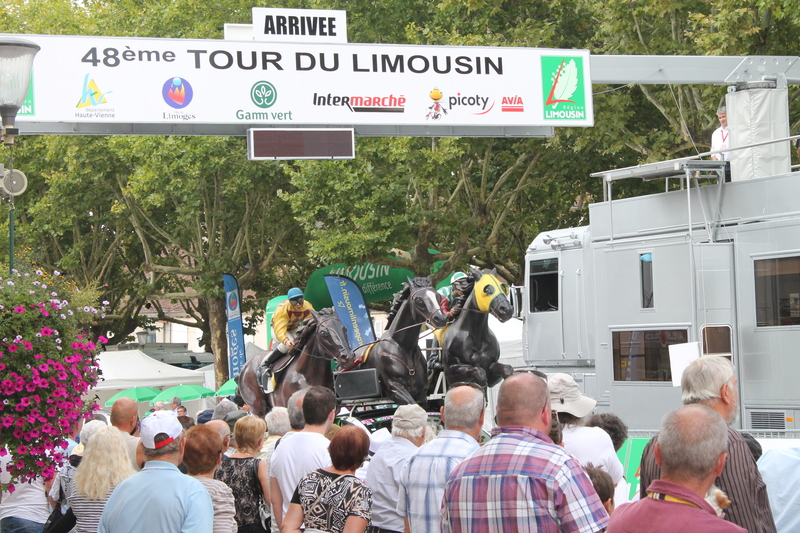 The next day the Tour de Limousin’s first stage finished in SYlP. Avoiding the route of the race lopping around the town another driver almost reversed into us trying to go down a side street. He seemed to think our being there was some sort of insult to his manhood – which would have been at risk if he’d hit us! 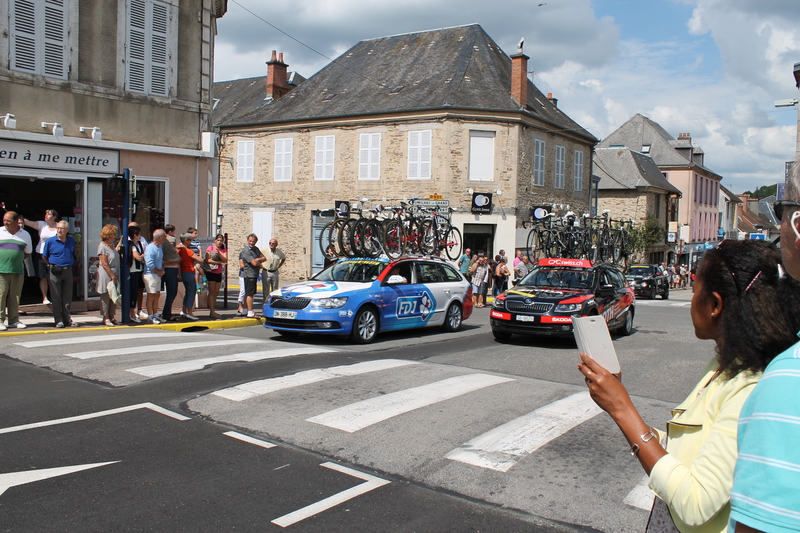 We sat outside the Mairie waiting for the riders to come thru the town before they went off on said loop – Jose was officiating somewhere and it being warm and sunny will have made that more of a task. 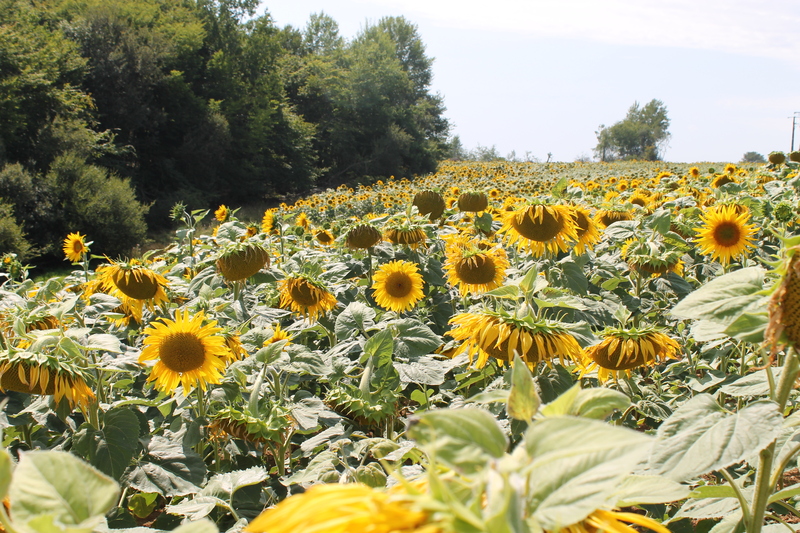 Tho it wasn’t as hot as our Tour de France trip to Rodez it was very nice. That was something that we hadn’t really considered until an older woman a few metres away was caught as she keeled over and then efficiently if unceremoniously carried into the shade and plonked on the grass. The Pompiers arrived quickly and tended to her but she was pleasingly not that unwell. There was a breakaway of three going up the hill with one chaser then the peleton. Tommy Voekler was at the front and identifiable – I’m not stalking him honest. The road up the hill and traffic calming meant a few team cars scrapped their fronts going more quickly in support of their riders. This caused a mini cheer from the many watching each time it happened! Olivier – the goalie from the football – said hello but I almost missed him doing so as we were waving at the same bloke from the Bastille Day thing and Marche de Producteurs. He may be stalking us! 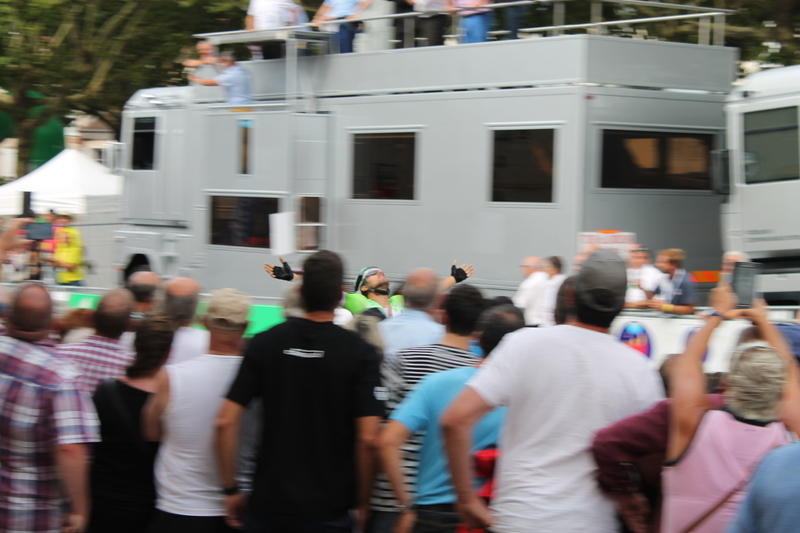 We got a good spot to watch the finish having had a look at the team buses and other stuff going on. To be honest it was rather larger and more impressive than I’d thought it would be, not the same as the Tour de France but what is! There was a commentator who was firing questions at the crowd then the caravan arrived – the PMU do the betting on the horse racing over here. There were freebies but we didn’t move for them. Popping off for a drink I bumped into Phillippe from the football and his son who is no-longer having to wear a fancy boot thing after injuring himself a few weeks ago. 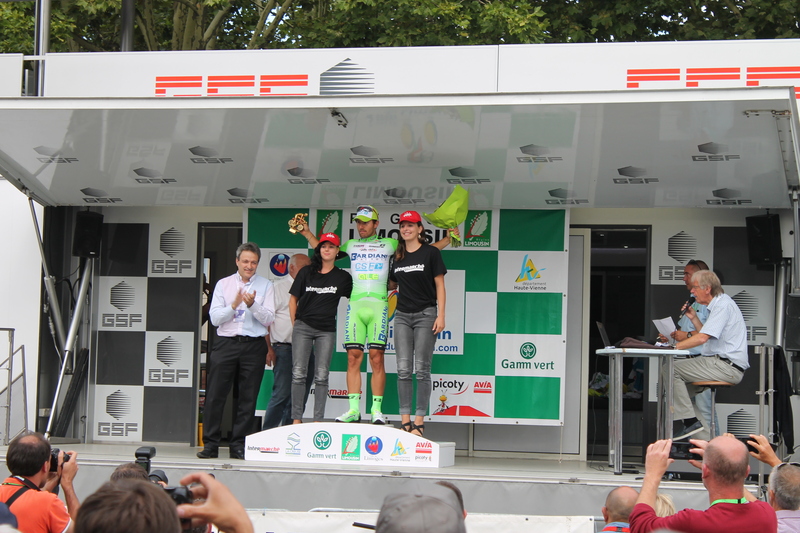 The race was won with a sprint by Sonny Colbrelli and the rest of the field took a while to cross the line. Yes I saw Tommy V again! Then came the presentations which were numerous and lengthy. We could see the girls changing t-shirts for each new category (they had plain white tops on underneath) and the flowers were in a bucket to the side. 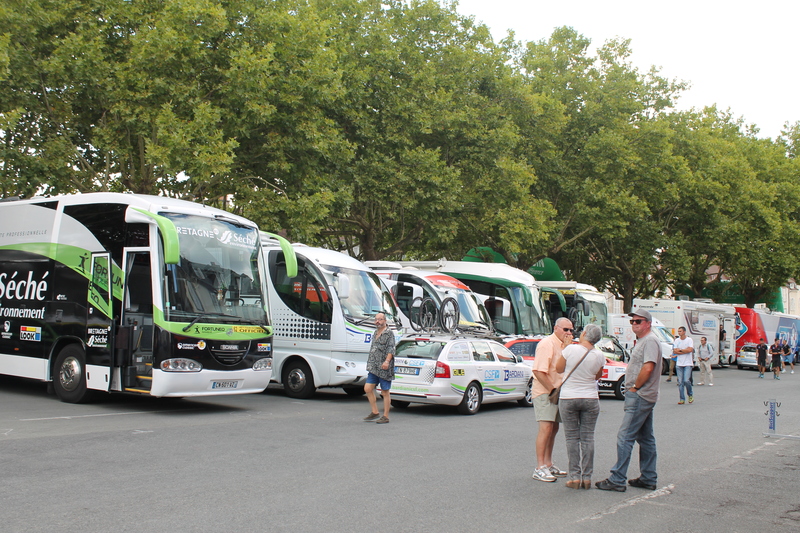 The Europcar Team bus headed off sharpish but Tommy V needn’t have been concerned I’m not stalking him! 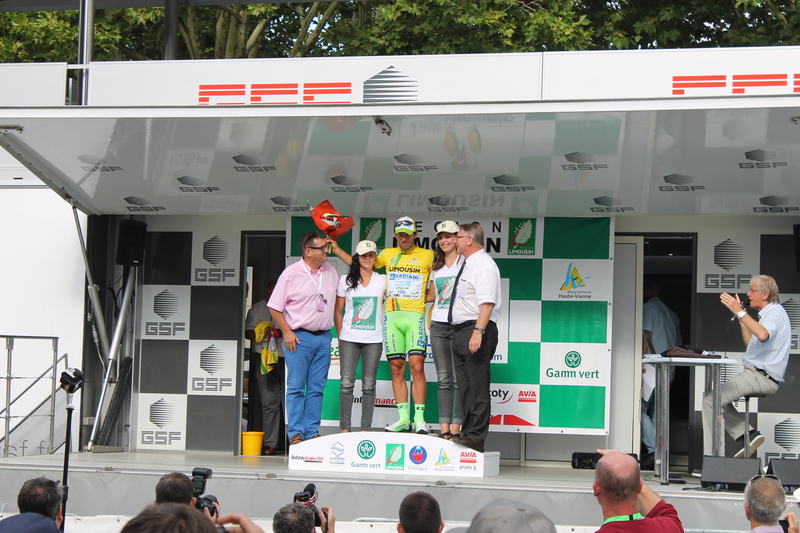 It turns out that Sonny went on to win the 4 stage event so in both Tours we saw both winners getting yellow jerseys which was pretty fortunate. 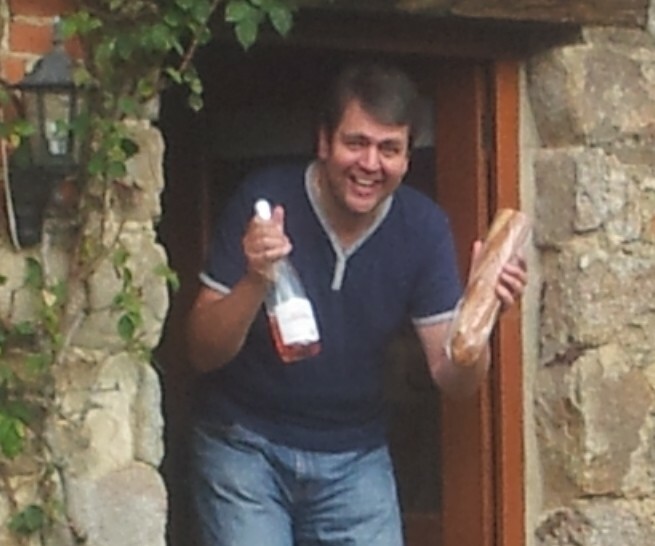 The chap on the left of the above pic is the gaffer of the local Intermarche – Jose knows him and introduced us one time. Does that make me nearly a celebrity?